The 2019 Synod Assembly will meet Friday and Saturday, May 3 and 4, under the theme Building Beloved Community. Singers are still needed for the choir for Saturday morning worship at 9:00 am. Learn more and register at this link no later than April 15. Singers may opt to participate in special educational forums following worship and stay for lunch (please indicate on your registration). If you are already registered as a voting member and would like to sing, please email Cynta Outterbridge. If your congregation has not yet registered voting members, now is the time! Registrations must be completed by April 15. Click here for registration information. 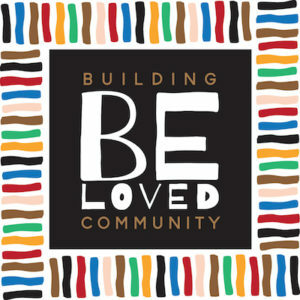 The concept of beloved community, popularized by the Rev. Dr. Martin Luther King Jr., is a global vision in which poverty, hunger, homelessness, militarism, racism, sexism, and all forms of bigotry and prejudice are supplanted by a spirit of inclusion, unity, peaceful conflict resolution, reconciliation, and sharing the wealth of the earth with all people. For Christians, building beloved community also means seeking understanding, partnership, and common ground with people of different denominations and faith traditions, as well as people who do not believe. This Assembly will explore ways that Lutherans can cultivate the Kingdom of God inside church walls and in their neighborhoods and communities. Our keynote speaker will be the Rev. 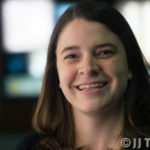 Nicole D. Diroff, associate director of Interfaith Philadelphia. She provides oversight for the organization’s many Dare to Understand initiatives, coordinates the Religious Leaders Council of Greater Philadelphia, and directs Interfaith Philadelphia’s Year of Civil Conversations and Passport to Understanding projects. The Rev. Wyvetta Bullock, ELCA Assistant to the Presiding Bishop and Executive for Administration, will be our churchwide representative. A number of learning opportunities will explore various aspects of the beloved community theme, including “Equipping Leaders for Kingdom Building,” “Advocacy: How to Make Your Voice Heard in the Public Square,” The Five Gifts of Discipleship: A Guide for Living Our Faith In Daily Life,” “Being the Presence of Christ in the World,” “Martin Luther King Jr.: The Beloved Community and What He Said” facilitated by the Anti-Racism Team, and sessions on healthy boundaries and stewardship. Watch this space for updates. New this year! Saturday worship The festival worship service of Holy Communion has been moved to Saturday at 9 am, in order to allow greater participation. New this year! Mass choir The worship team is planning for a mass choir for the Saturday festival worship. Individuals and/or choirs are invited to take part in this celebration. Get full details here. Our Synod’s Women of the ELCA organization will sponsor its annual Ingathering at the Assembly on Saturday morning before worship. Learn more. Contact: The Rev. Sue Lang, events planner, slang@sepa.org or Cynta Outterbridge, registrar, coutterbridge@sepa.org.